As the recognized leader in agile management software, CollabNet VersionOne provides unified agile and devops software solutions for enterprise companies. 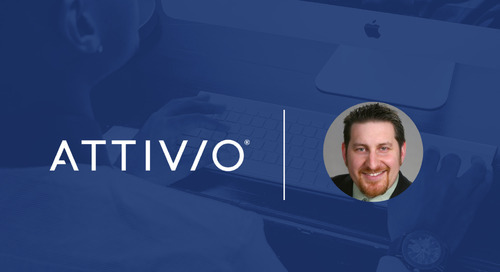 The VersionOne marketing team has launched and scaled an innovative account-based marketing (ABM) program with Terminus. Their team has received recognition for how they’ve implemented and found success with ABM, including winning the SiriusDecisions Demand Creation and ABM Program of the Year. VersionOne was an early adopter of Terminus (they started back in 2015), so we went down to their office to meet with their ABM Superhero squad to learn more about their award-winning ABM program. As an enterprise software provider, VersionOne competes with very large companies that have even larger marketing budgets. Historically, the bulk of their marketing efforts were focused on generating inbound leads, which proved to be ineffective and unscalable. The VersionOne team needed a way to be more efficient with marketing spend by focusing on accounts that fit their ideal customer profile (ICP) and targeting key decision-makers within those accounts. So, they decided to shift from a solely inbound strategy to an account-based marketing strategy. As VersionOne began to build out their ABM tech stack, they wanted to incorporate a targeted digital advertising tool to build awareness and drive engagement within key accounts. 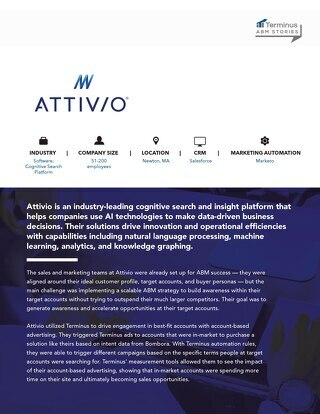 This is when they decided to partner with Terminus for account-based digital advertising. VersioneOne uses Terminus as an “always on” program for engaging target accounts. Terminus helps with driving accounts through the marketing funnel to generate more high-quality sales opportunities, as well as accelerating their sales cycle to close deals faster. As a leading indicator of success, they look at target account engagement: impressions, ad clicks, and website visits. 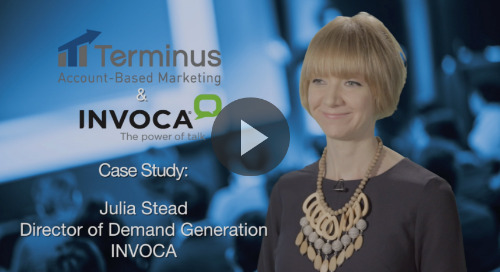 Why Terminus for Account-Based Advertising? In a comparison test, VersionOne found that Terminus campaigns drove more than 2X the web sessions from target companies than other providers. This was the evidence they needed to prove that Terminus' targeting and advertising capabilities are truly best-in-class. 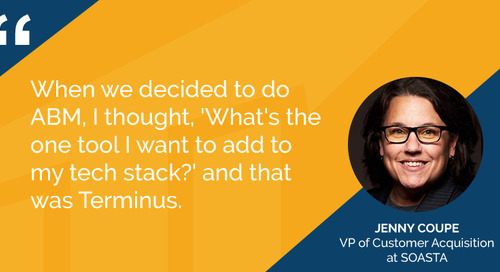 Along with the ability to quickly launch, optimize, and measure display advertising campaigns, Kristen Wendel, director of marketing ops, shared additional reasons why Terminus has become such an integral part of their ABM stack. 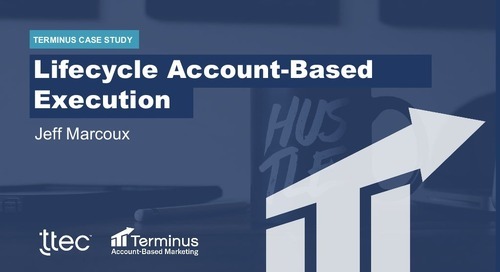 When they looked at the influence of Terminus on their target accounts, they saw that 17% of the pipeline created from target accounts was directly sourced from display. Another indirect effect of Terminus campaigns was an increase in organic web traffic. The graph below shows their web traffic before and after launching their ABM program. Not having to wait until the end of the month or wait for a vendor to update the creative or account list is critical to their ability to constantly iterate, optimize, and launch new campaigns.  Jodi and her team can log directly into their account and see which creative is performing best, switch creative out as needed, and add or remove accounts. The ability to see, in real-time, which tactic an account is in and how that tactic is performing for that particular account helps her better understand what messaging is resonating and how to allocate her budget. Creative and assets used for each tactic. Spend, impressions, and clicks for each tactic. Check out their use cases below. As Kristen mentioned, VersionOne leverages the Terminus integration with Salesforce in their campaigns. They are running three campaigns with multiple tactics. Accounts automatically flow into different tactics and campaigns based on their stage of the buying process. This removes the need to manually add or remove accounts from the campaigns — the Salesforce integration does this automatically. These three campaigns cover the entire journey from awareness to closed-won. The first of these campaigns is their Awareness campaign, which is divided into three tactics based on audience segments. The main goal of this campaign is to move accounts from what they call “inactive,” meaning they haven’t engaged with VersionOne, to a marketing qualified account (MQA) by serving them highly targeted, relevant display ads at every step of the journey. Accounts move from the Awareness campaign to the MQA Progression campaign once their Salesforce status changes to an MQA status. VersionOne has several different MQA stages, so this campaign has a separate tactic for each MQA stage. Each tactic has a specific set of ad creative with content that applies to that stage. The goal of this campaign is to convert MQAs to opportunities, so accounts remain in this campaign until an opportunity is created. This type of campaign allows VersionOne to track account progression from marketing qualified to sales accepted. Once an opportunity is created, accounts automatically move from the MQA Progression campaign to the Pipeline Velocity campaign. This campaign has two tactics that represent two of their opportunity stages: Discovery and Evaluation. The goal of the campaign is to get accounts to move from the Discovery tactic to the Evaluation tactic, meaning the opportunity is progressing through the funnel and is one step closer to closed-won. Again, the ad creative and messaging for each of these tactics matches where that account is in the buyer’s journey. In the first month after launching this series of campaigns, VersionOne saw 31% of target accounts in the Awareness campaign progressing to open MQAs. Another highly effective campaign VersionOne is running is their Surging Account Campaign, which targets accounts that are high-fit and have high intent based on data from Bombora. For this campaign, they identified keywords their target accounts were searching for and built ads and landing pages with messaging using those keywords. This campaign had the highest engagement of any campaign they’ve run in Terminus so far. 55% of the accounts had at least one click on the ads, which shows the impact of delivering a relevant, targeted message. Incorporating Terminus into their demand gen programs by building these targeted and segmented campaigns has really helped VersionOne take their efforts to the next level. It’s clear that VersionOne is on the cutting edge of ABM strategy and best practices, but it didn’t always come easy. When we asked the team to give advice to others getting started with ABM, there were three key learnings they wanted to share. Use ABM metrics to measure success, not lead-based metrics – Another important lesson they’ve learned throughout their ABM journey is setting the right expectations and goals. 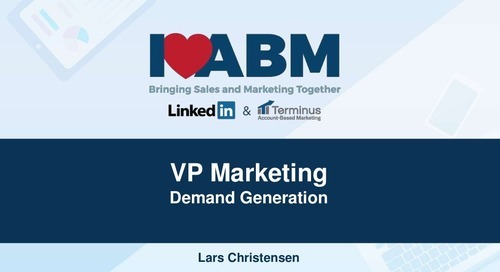 When measuring the impact of Terminus and ABM in general, VersionOne looks at engagement and progression as key indicators of success, not the number of leads. Terminus approaches each customer as a partner with the goal of driving success with the platform and ABM strategy. 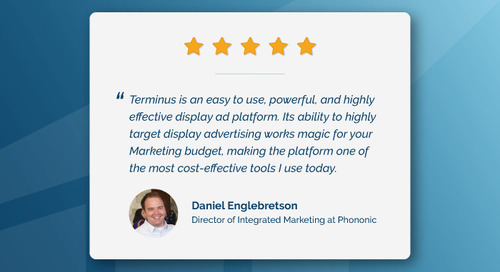 All Terminus customers are paired with a dedicated customer success manager and receive support from our advertising operations team, who are there to continually optimize our customers' ads to maximize results. To learn more about how Terminus can help you reach your revenue goals, chat with one of our ABM specialists now.